Four days to build a tokamak! Taishi Sugiyama (left) and Kaishi Sakane from Kyoto University have invested the lobby of ITER Headquarters for one week. Their challenge? To assemble 40,000 Lego bricks into a model of the ITER Tokamak. Two students from Kyoto University (Konishi Laboratory, Institute of Advanced Energy) have set themselves a very ambitious challenge. 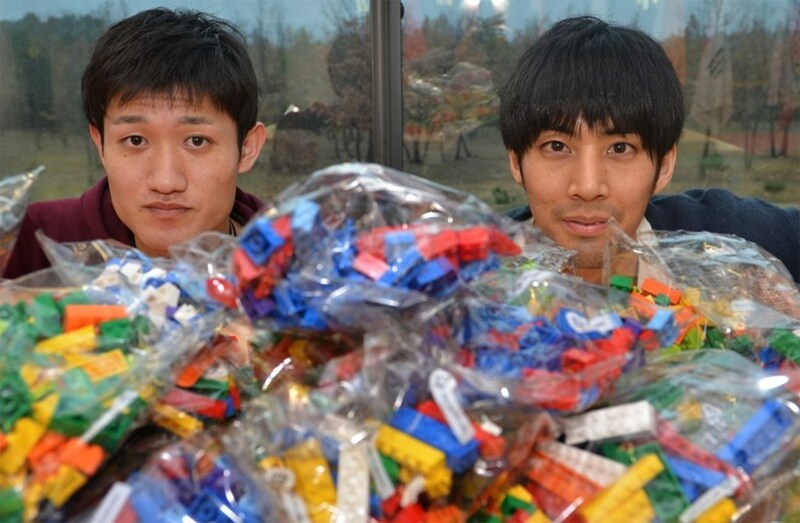 Taishi Sugiyama and Kaishi Sakane, have given themselves four days to build an ITER Tokamak ... with a set of 40,000 Lego bricks! The two students, who arrived early this morning at the Marseille airport, participated in the Kyoto University Student Challenge Contest and collected the necessary funds to travel to ITER. With their temporary office in the lobby of ITER Headquarters, the two students are all set to build their third LEGO model of the ITER Tokamak. (Another of their masterpieces was on display at the ITER stand at last year's Fusion Energy Conference in Kyoto.) Good luck to them and see you in next week's Newsline for the final result!